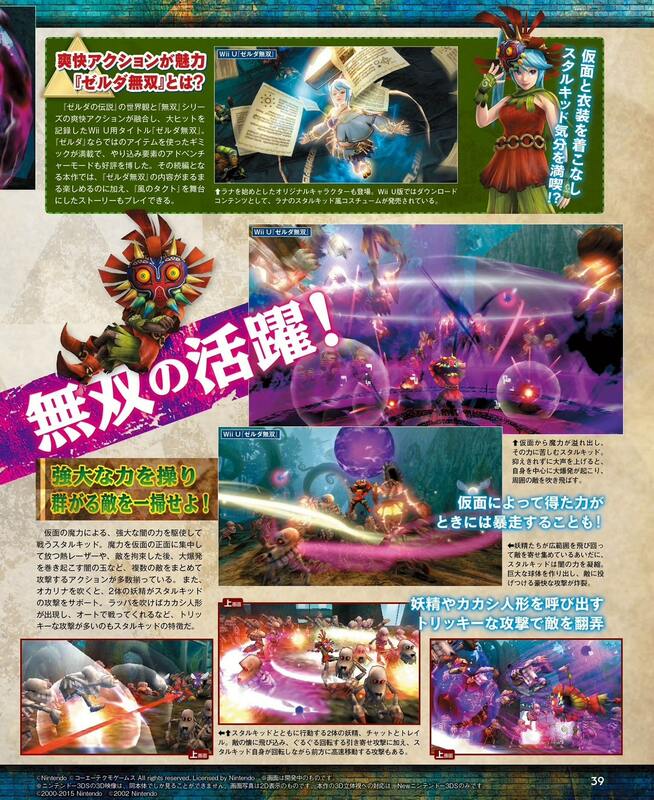 Japan’s Weekly Famitsu has landed, revealing with it scans that show Skull Kid and Phantom Ganon in Hyrule Warriors Legends as leaked earlier in the week. 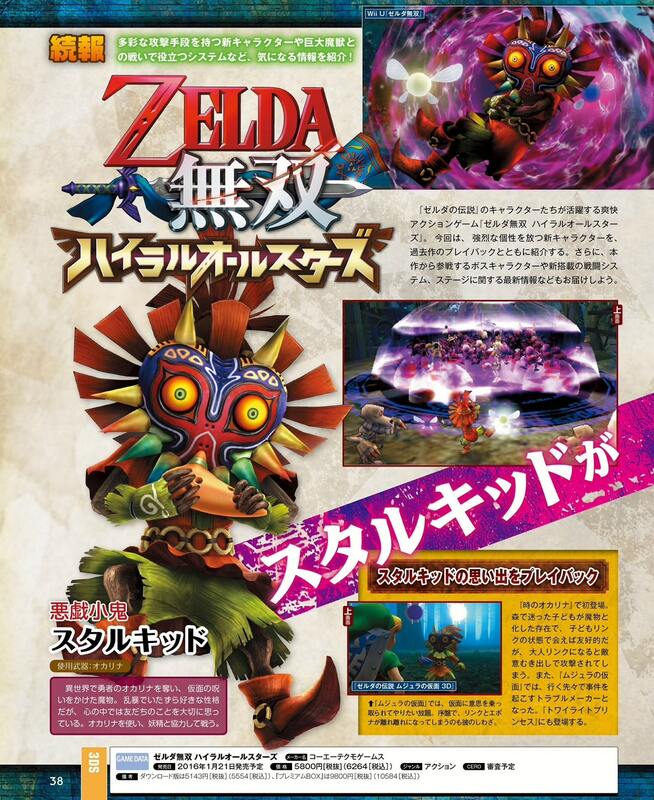 As previously known, Skull Kid will be equipped with an Ocarina and accompanied by fairy accomplices Tatl and Tael. 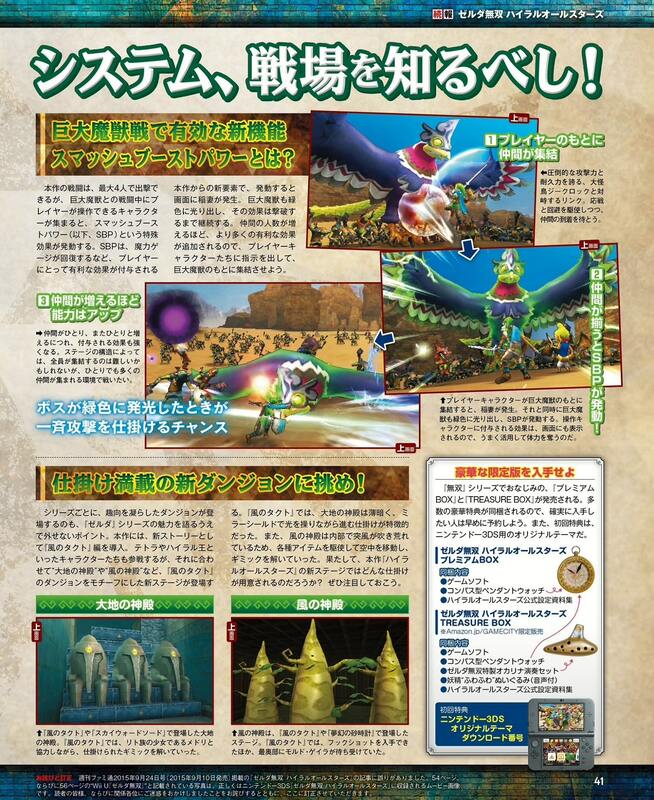 Early screenshots show the Majora’s Mask antagonist unleashing devastating area of effect attacks, while referencing that Koei Tecmo had added a Skull Kid costume for Lana in the Wii U version. 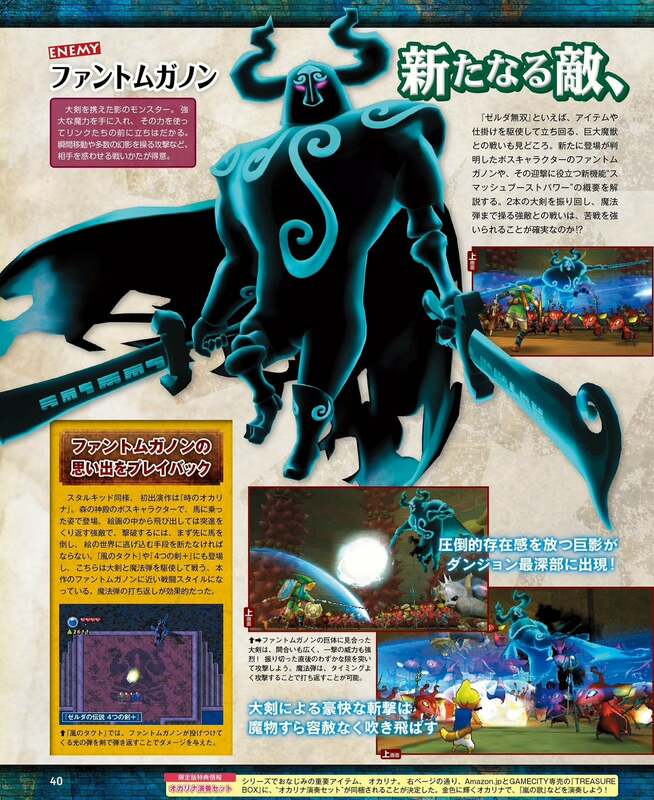 The magazine also reveals that The Wind Waker’s Phantom Ganon will appear as a new boss character, as well as the Helmaroc King. Hyrule Warriors Legends will release exclusively for Nintendo 3DS in Japan on January 21st, and across North America and Europe in Q1 2016.